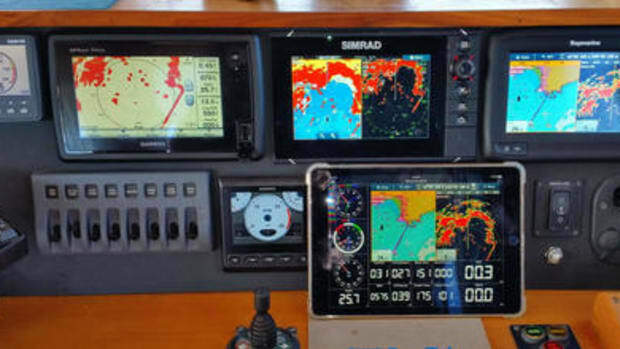 Anyone interested in marine electronics will tour the large Electronics Tent at the main Bahia Mar FLIBS site and will likely be easily seduced by all the bright screens around the bustling Raymarine, Garmin, Furuno, Simrad, etc. booths. Fun! 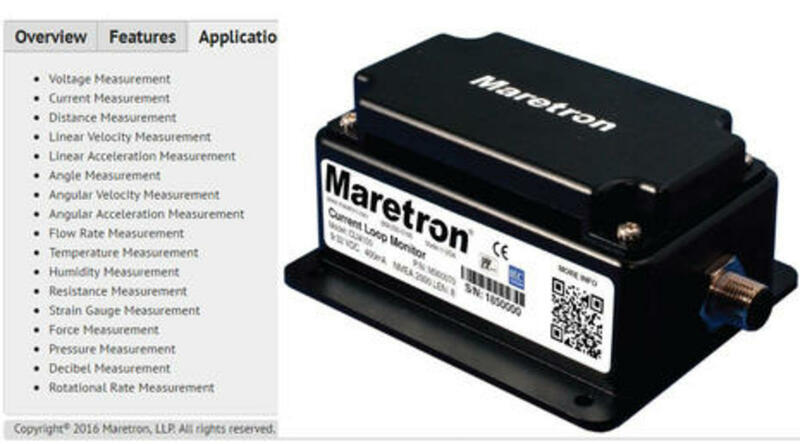 But don&apos;t ignore humble looking black box sensor interfaces like the Maretron CML100 above. 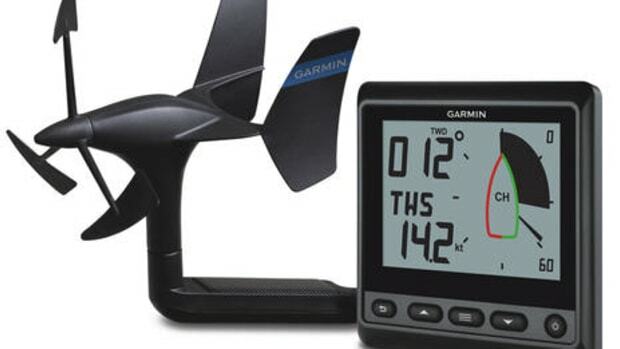 I&apos;m more and more convinced that precision sensors with the means to smartly integrate, display and alarm their outputs both on and off the boat are critical to the truly useful boat systems that the future promises, and this gateway to current loop monitoring seems to add a lot to Maretron&apos;s already sizable quiver. I&apos;m pretty sure, for instance, that Steve Dashew&apos;s FPB 78 Cochise is sporting multiple CML100s as he and his crew power across the Pacific right now. Moreover, Maretron just introduced a Telemetric Cloud Service alternative to its Real Time Cloud Service (that I wish Cochise was using). 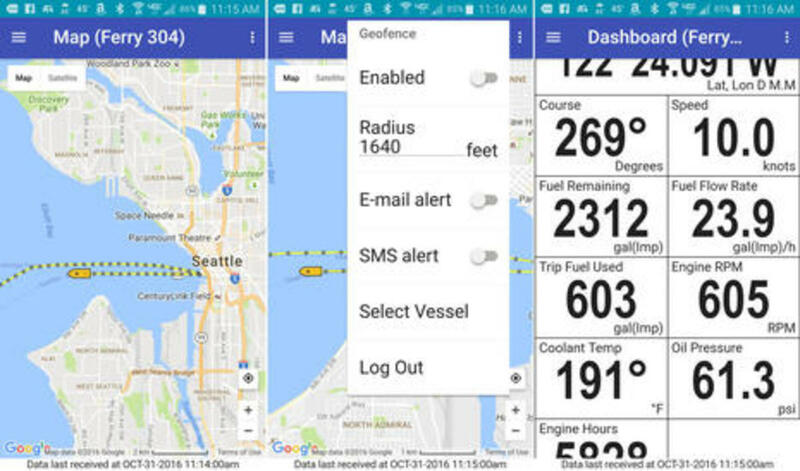 While I enjoyed monitoring (simulated) Puget Sound ferries on the associated N2KTracker app above, the service also allows a user to analyze all sorts of vessel data using N2KExtractor. That&apos;s how remote monitoring can become an aid to preventative maintenance and even accident or warranty investigations. 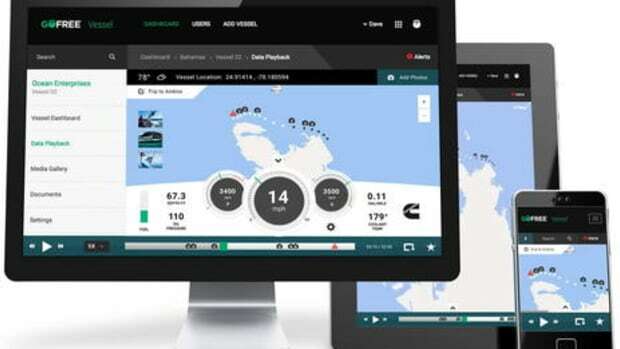 In Lauderdale I&apos;d also be hoping to see a live demo of Navico&apos;s new connected vessel system, and I&apos;d go over to the nearby equipment tent to see Siren Marine&apos;s MTC. The Superyacht Pavilion (actually still a tent) is a must visit for lux gadgetry like I covered last year, and there may be no better place than FLIBS to research satellite communications. 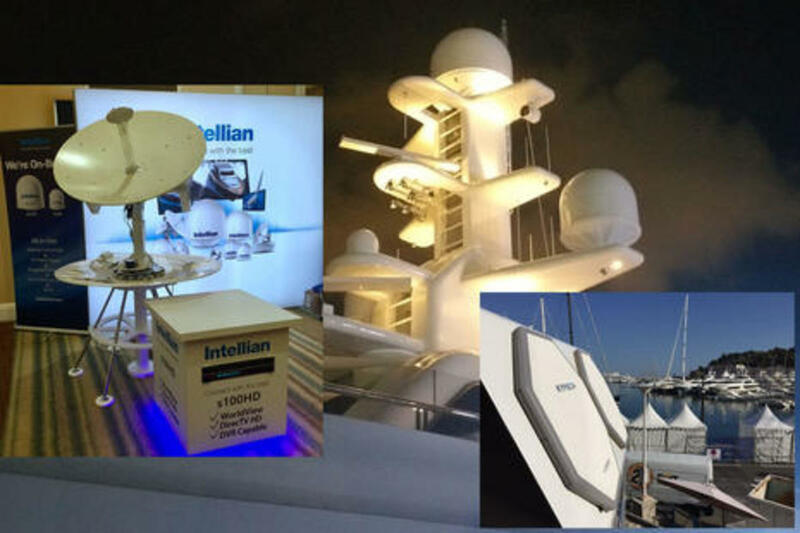 Intellian will likely be showing off their new s100HD WorldView TV antenna, as they did at the NMEA Conference, and can also explain how smoothly it can install and integrate with Inmarsat Fleet Xpress (or VSAT) broadband service on your large yacht. Meanwhile, KVH&apos;s end-to-end mini-VSAT broadband continues to expand and please, as I was recently reminded when visiting the fabulous slow-circumnavigating MV Dirona (story to come). 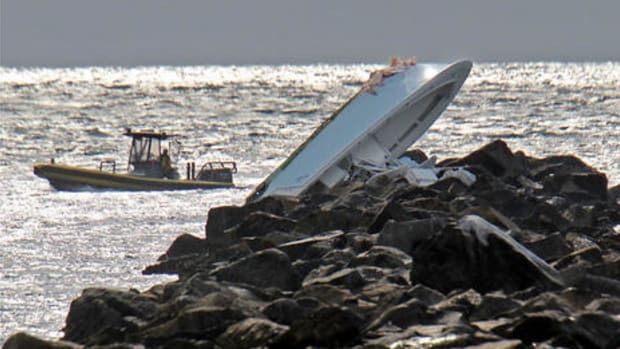 I&apos;ve come to appreciate the various "middle man" companies that help yachts negotiate the daunting maze of communication systems and services. 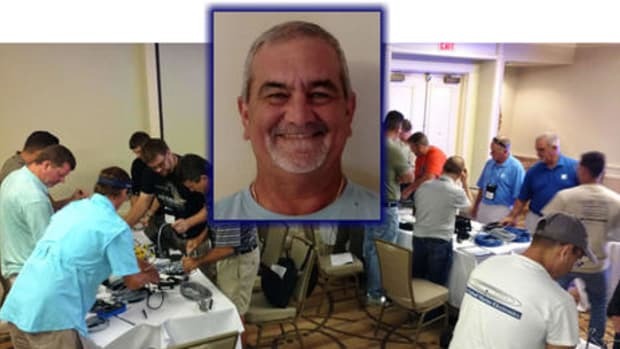 Apparently, satcom specialist Marlink is coming to FLIBS with news (link coming soon to comments below), and last year I much appreciated a seminar series put on by integrator E3 Systems (and was recently glad to learn from them that the Kymeta flat panel antenna system is showing promise). And I always try to spend some time at the Atlantic Radio Telephone booth because that crew, who also run the SatPhoneStore, know tons about the more modest levels of satellite communications, including how well the various systems work for their many rental customers. 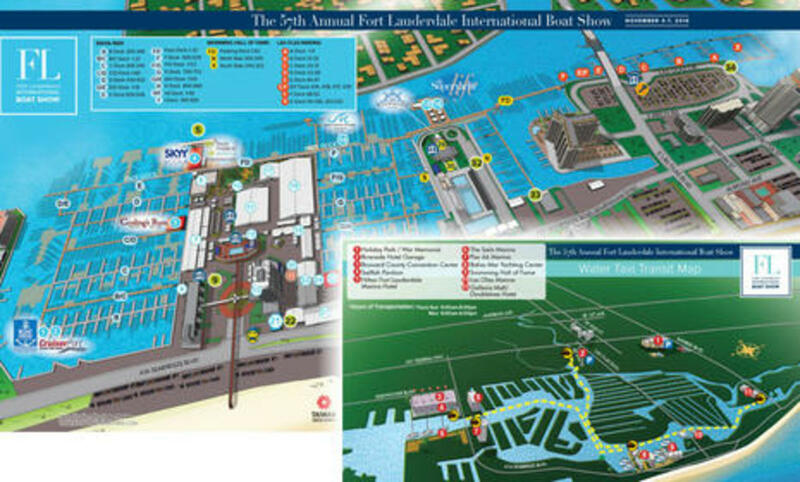 A benefit of big shows like FLIBS and MIBS is that you may get to see cutting edge marine electronics actually working on a boat, if you know where to look. 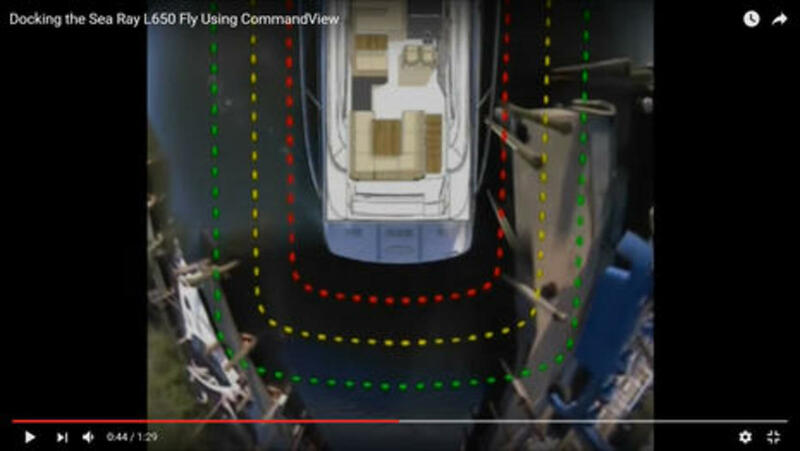 For instance, I just recently learned about how three camera outputs are laced together to help with docking in Sea Ray CommandView -- video here -- and I think you&apos;ll find one aboard the L650 Fly on FLIBS G/H dock. I&apos;d also check out the Sea Ray 350 SLX, which now comes standard with the Raymarine Empirbus digital switching I saw demoed at FLIBS 2014 (though Sea Ray calls it "Dynamic Display"). Unfortunately, the new Sabre 66 Dirigo won&apos;t be in Lauderdale because it includes the most extensive and best thought out CZone digital switching system I&apos;ve yet seen, but then again I must write up my deep Miami tour. 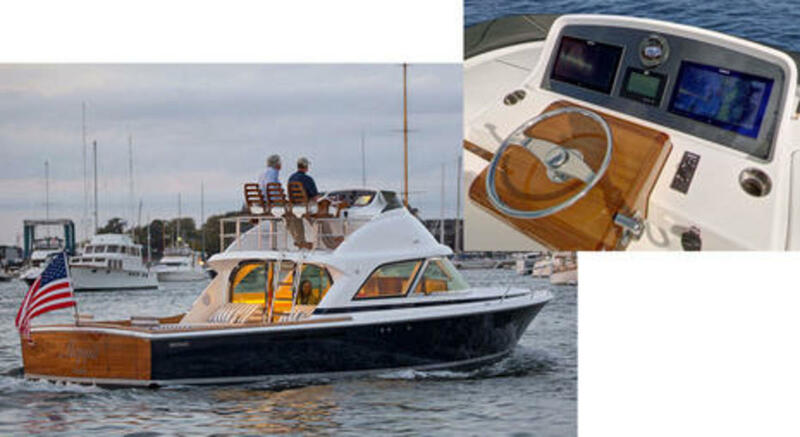 The Simrad electronics may be more "normal", but another boat I would certainly check out is the brand new Bertram 35. I got to see the twin prototypes being built at Lyman Morse last spring and was quite impressed with how the level of attention going into systems, ergonomics, finish details, and everything else (video here). That&apos;s what LM does for its mostly high-end custom clientele, but in this case they were working with the Bertram manufacturing team to make the build reproducible and efficient at the new Bertram plant in Tampa. It seems like the exact right way to reimagine a famous design like Moppie. 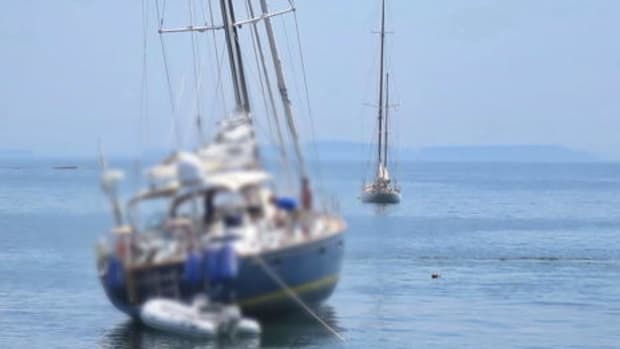 My PMY friends have more FLIBS boat visit suggestions and maybe you do, too? Back to booths, my eclectic tastes and curiosity usually lead me to what some think of as FLIBS&apos; fringes. 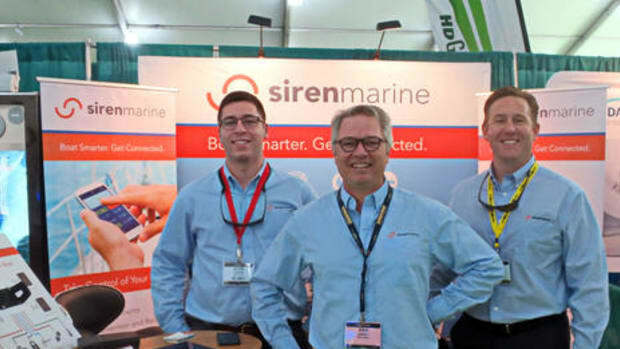 For instance, you never know what you may find in the Sailfish Pavilion (tent) over by the Convention Center, but it could be a new company who couldn&apos;t get space where most of the bigger boat gear is, even though their product deserves it. This year I&apos;m pretty sure that OpenROV fits that bill with a new underwater, remotely-operated vehicle that looks quite exciting. 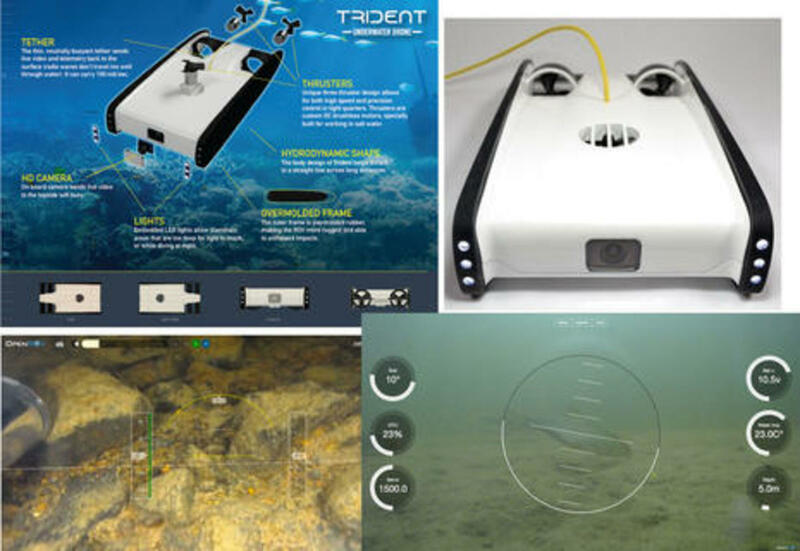 Trident, just coming out of its successful KickStarter campaign, is relatively inexpensive at $1,200, compact, purportedly easy to operate, and yet hackable and/or able to integrate with marine electronics. I&apos;d like to try a Trident soon to inspect Gizmo&apos;s various underwater appendages as I ready her for winter in the water, but how about some summer fun exploring Maine sea life with the granddaughters? 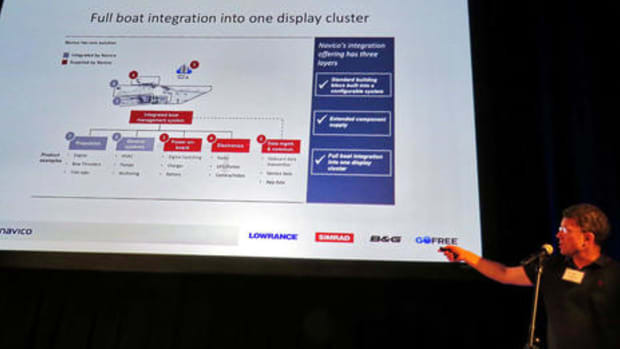 Gizmodo rightly terms Trident a "tiny ocean explorer" and I particularly enjoyed OpenROV cofounder David Lang&apos;s National Geographic presentation (video screen shots below). 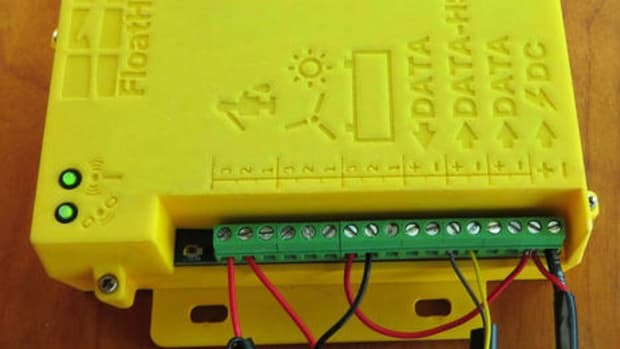 He describes a speeding conjunction of open source software, microelectronics, and citizen science that we boaters can also enjoy (and even "support" with our enjoyment), and he also enthuses about easy, accurate data collection a little like I did regarding Maretron sensor tech above. I&apos;m sure I&apos;ve only touched on a few of the interesting electronics that will be on display at FLIBS, and I hope that no one -- exhibitors included -- hesitates about sharing ideas. While I may be trying to attend this one virtually, some readers will actually be there.